Facebook is the world biggest social network. Facebook has one of the biggest videos site. Youtube has a feature of offline playback videos. But Facebook has not this feature of the users. Many people are watching videos on youtube for how to download facebook videos on Andriod. 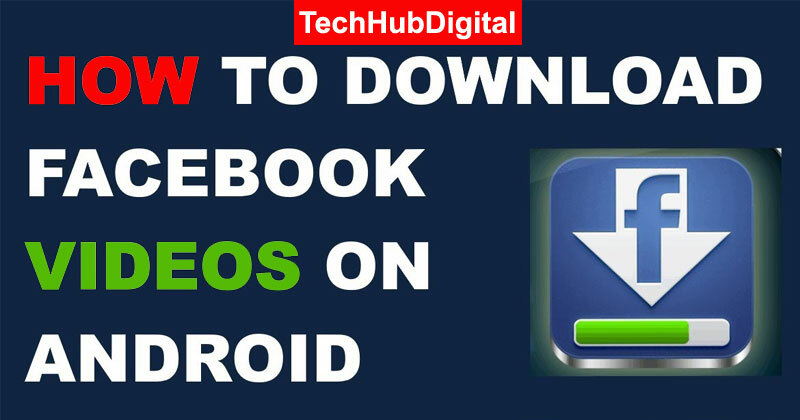 Today Tech Hub Digital is going to discuss a trick using which you can download facebook videos on Android, Mac, iPhone. There are many websites that help you to download facebook videos easily. Fbdown.net and en.savefrom.net are one of the best options. Tap on the video and copy the link of Facebook Video. Open Fbdown.net or en.savefrom.net in your browser that supports downloading. The Facebook video will be saved in the download folder. If it is not in there, then check your browser setting for save location. Follow all these steps to download Facebook videos on Windows, Mac, iPhone. After installation, Open your facebook in Snaptube app and click on the video that you want to download. The Facebook Video will be saved in the Snaptube Download Folder.